Hello, I’m Jim Glover, That Branding Guy, for Once a Day Marketing™. Today we are looking at the key components to creating a great print advertisement. First, understand the characteristics of audience you are targeting. Then, craft a message that is relevant and will resonate with them. If you have diverse target groups, create a separate message for each one rather than using one less specific message. When developing the ad ensure the message is aligned to the group you are focused on. Next is the offer. Provide an offer customers will care about and respond to. Design a promotion that will inspire potential customers’ interest in purchasing your product and contains a call to action. The last component is the design of the ad. One of the 7Ps of Marketing is physical evidence; your ad has to look good as well as contain the other core elements. When all of these items come together, you should have an ad that will drive traffic and benefit your business. As you are producing your next ad, keep 40/40/20 in mind. Don’t get caught in the trap of going straight to design. The process is to target the right audience with a compelling message and then make it look great. Once a Day Marketing™ positions brands to become #1 in the minds of target customers. Visit our website at www.onceadaymarketing.com. 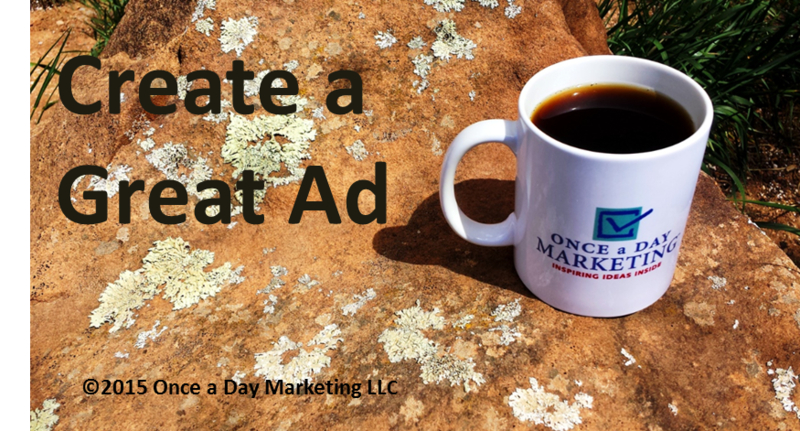 Contact James Glover at (505) 501-1330 or email glover@onceadaymarketing.com. Listen to Ask Those Branding Guys™ every Monday at 11:00am streaming live on SantaFe.com KVSF 101.5 FM.